WELCOME TO MILLER HOME MORTGAGE, LLC. A LOUISIANA AND TEXAS LICENSED MORTGAGE BROKER/BANKER. WE HAVE 23 YEARS OF LENDING EXPERIENCE AVAILABLE TO ASSIST IN COMPLETING YOU LOAN TRANSACTION. THE BEST WAY TO CONTACT US IS BY PHONE AT 504-455-7002. YOU CAN ALSO CONTACT ME AT ROSSBERG@BELLSOUTH.NET OR ROSS@MILLERHOMEMORTGAGE.COM . Our Louisiana location is 2815 Division St. #200, Metairie, La. 70002 NMLS#69469. Miller Home Mortgage, LLC., DBA Miller Mortgage, LLC. 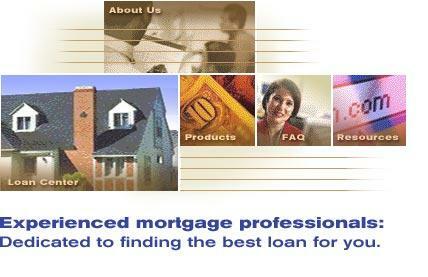 is a Mortgage Broker/Banker in Texas, NMLS License #69469. Our address in Texas is 1121 Delano St. Houston, TX. 77003. The Texas Consumer Complaint and Mortgage Broker Recovery Fund Notice is located at Texas Recovery Fund. Our rates are very competitive and our Pre-approval time averages under 24 hrs. and our average loan closes in 30 days. Our home office hours are 8:30 a.m. to 5:00 p.m. or by appointment.